On Tuesday night we hosted a Monster Mash Spooktacular at Whiterock LC. The centre was buzzing as the Halloween festivities got under way at 5pm. Starting point for the lantern parade was Upper Springfield Development Trust were families gathered to get faces painted and costumes ready for the Monster Mash disco and fire works display. The whole community made their way to the centre to enjoy an evening of traditional Halloween activities including dunking for apples, arts and crafts and a ghosts and ghouls themed disco. 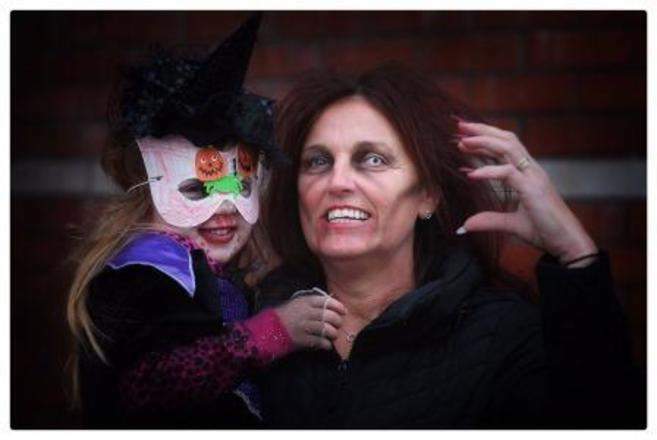 Whiterock Community Centre transformed their main hall into a haunted house with kids showing to be much braver than adults by queuing up to check it out. Prizes were given out for the best dressed and best dancers at the disco before everyone set off once again making their way to the Falls park to finish the night watching the spectacular fire work display.